In the early 1990s, the Marshwood school system, teaming with the Old Berwick Historical Society (OBHS), began a unique program that has galvanized awareness and public support for South Berwick’s historic village. 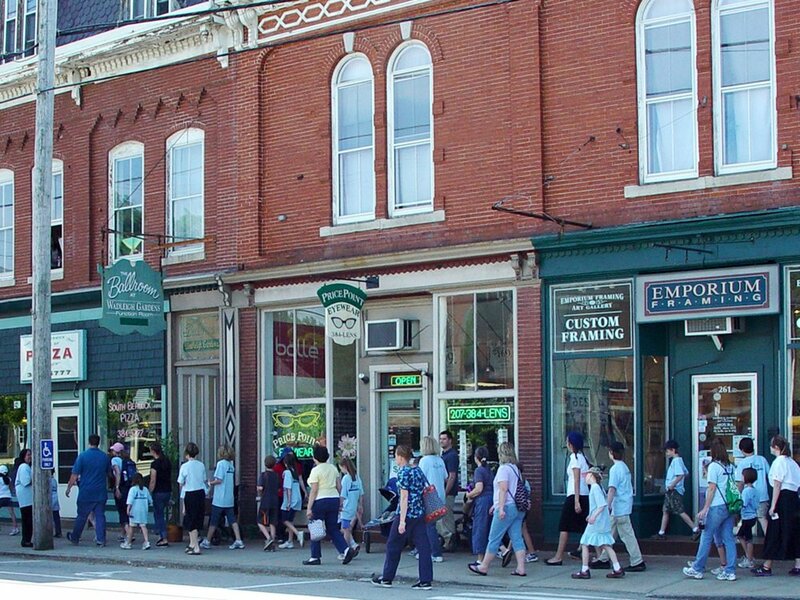 The Hike through History is an annual student walking tour of historic sites in the heart of South Berwick. South Berwick’s 19th century downtown has been highly vulnerable to demolition, traffic and sprawl. Though recently designated a National Register of Historic Places historic district, no local demolition prohibition or design review standards are in place and past demolitions have gone unchallenged. This springtime student educational program incorporates nearby historic sites. After a three-year planning process begun by OBHS in 2011, the program now features middle-school role players who study local history and incorporate them into games and presentations for younger students. This spring, for example, an eighth grader portrayed Sarah Bartlett Frost, who welcomed Gen Lafayette to her tavern, which was housed in an 18th century building recently thought to be among those “not historic.” These students, families and other citizens, learning about their local history today, are becoming equipped to protect South Berwick’s treasures tomorrow. Extending public education about historic resources has resulted in no demolitions since 2001 and approval of the National Register District in 2008. Maine Preservation is pleased to present a 2013 Honor Award for organizational excellence for the Hike through History.